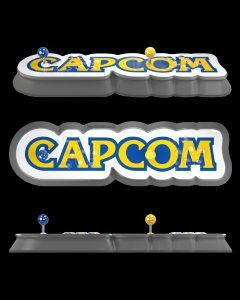 Capcom revealed a brand new plug-and-play system, the Capcom Home Arcade, packed with 16 classic Capcom titles from what they call the golden age of gaming. Since the game launched on the March 8, 2019, Devil May Cry 5 sold 2 million copies worldwide, amounting to 2 million copies in 2 weeks. Capcom’s remake of Resident Evil 2, which released earlier this year, has now reached 4 million copies shipped. In a recent Tweet from the official Resident Evil Twitter account it was confirmed that Resident Evil 0, 1, and 4 will be releasing for Nintendo Switch on the 21st of May 2019. Monster Hunter: World has reached almost 12 million recorded sales, Capcom revealed today. Thanks to strong sales of their core properties Capcom have reported record profits with their latest financial earnings reports. Over the weekend Resident Evil 2 Remake reached over 55,000 concurrent players on Steam, making it Capcom’s second-best launch on the platform in company history. An announcement made via the official Dragon’s Dogma Twitter account has confirmed that the game and it’s DLC are releasing for Nintendo Switch in 2019. Capcom has announced that Monster Hunter World, the latest title in the Monster Hunter franchise, has now sold over 10 million units worldwide.